Before you invite us into your home, we are mindful of the importance of introducing ourselves. Taylor Made Construction is a multi-generational, family-owned construction company operating in Northern California. We are excited to offer a new service to local realtors to help you seal the deal - prompt & professional construction services for your clients! "I hired Taylor Made Construction to do a big job for me - a fence surrounding my backyard. I have a huge plot of land and was apprehensive about adding the fence in the first place. These guys did an excellent job and were total professionals. I plan to use them for my next project!" "My husband and I had horrible dry rot on our home, it was a nightmare. The team at Taylor Made Construction took a horrible situation and completely made it better. The whole process was smooth and the rates were affordable. Highly recommended!" "The siding on our home needed to be replaced. It was a dauntnig task. 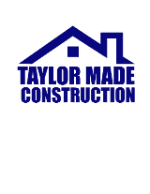 When I found Taylor Made Construction I was happy to see they were family owned and operated. They did a great job! We are very happy."